Last week I attended Cox Business Executive Discussion Series breakfast. The topic: Leadership in Tough Times. There were 5 impressive panelists from various industries: education, the military, shipbuilding and of course, small business. Here are some tidbits that stood out for me. “Tough times come in cycles. In good times prepare for the tough times.” Edward L. Hamm, Jr. President and CEO of E.L. Hamm & Associates, Inc.
“Leadership is about being strategic. Give people experiences…get people to do things that they don’t think they could do.” Rebecca A. Stewart, Vice President of Submarines and Fleet Support, Northrop Grumman Shipbuilding-Newport News. “Each organization needs certain type of leadership for the different cycles that an organization may go through.” Alvin J. Schexnider, President, Thomas Nelson Community College. The moderator for this executive session was Cathy Lewis, Host/Executive Editor WHRO. She asked each panel members, as well as, the audience to give their own definition of leadership. Well, this made me think. 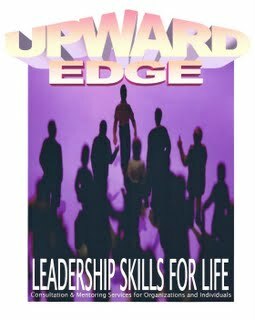 Several months ago I wrestled with my definition of leadership, to the point that I could not sleep. A result of that sleepless night in February, 2010, I gave birth to my definition of leadership and here it is. Guess what; in a span of 90 minutes our distinguished panel members and our moderator came to the same conclusion. What is your definition of leadership?